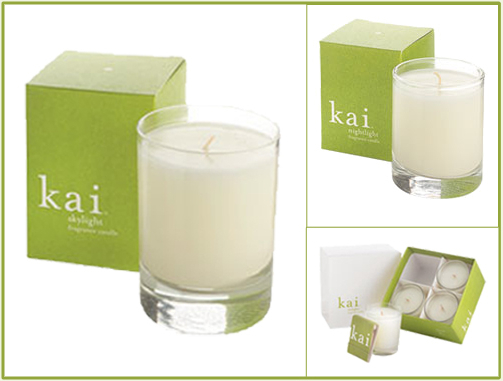 Kai is one of the lightest, freshest scents that I just can't seem to get enough of. For years, I have loved Kai Body Glow ($34), and I've recently re-discovered their all-natural slow-burning candles. Their unique blend of soy, palm and coconut wax allows up to 40 hours of burn time for the Skylight Candle, the largest size in the collection. These candles are great gift items, and we especially love the set of 4 Twilight candles. All Kai products are made in the USA and packaged in recyclable materials. Visit Kai's website to explore their full product line.